Greece's Defense Minister Panos Kammenos, who is a leader of junior ruling coalition member 'Independent Greeks' (ANEL), reaffirmed Wednesday his opposition to a possibility for the name dispute solution to include the term 'Macedonia', Kathimerini reports. "We hold to our stance to be against the use of the term 'Macedonia'," Kammenos, said. He called on President Prokopis Pavlopoulos to convene all political leaders to discuss the name dispute with Macedonia. 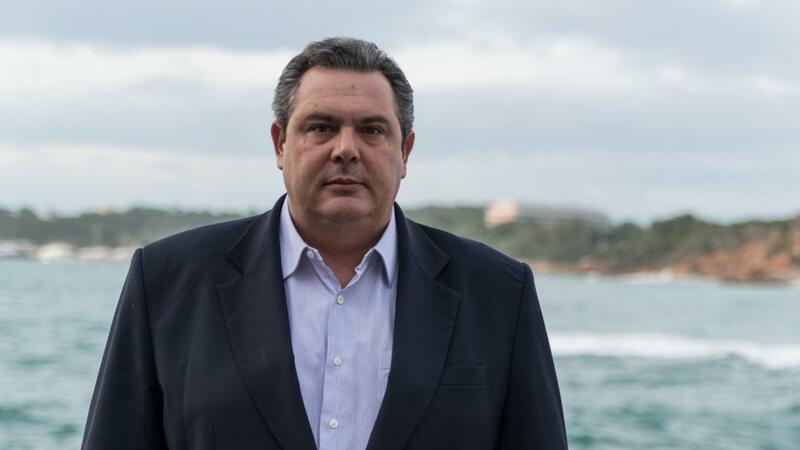 Speaking at a press conference, Kammenos said his stance on this matter should not be interpreted as an intention for criticizing the Foreign Minister, Nikos Kotzias, who 'is the best Greece's FM thus far'. Nine deputies represent the 'Independent Greeks' (ANEL) party in the Greek Parliament, enabling the Alexis Tsipras' government to have a majority of 153 MPs in the 300-seat parliament. Few days ago, former Greek foreign minister Dora Bakoyannis wrote on Twitter that Kammenos, during the rule of Kostas Karamanlis, who served as prime minister from 2004 to 2009, accepted twice the compound name with a geographical qualifier for a solution to the name dispute.